Very quiet, friendly and helpful staff in reception. We have stayed many times in Arrigorriaga and always enjoyed the ambience of the hotel. It is so convenient to walk into town and explore the local area. We couldn't ask for more. All great. From the arrival to departure, perfectly taken care of by the staff. Excellent value and very helpful staff. We were very impressed with the room and the great breakfast. The staff were brilliant. It suited our needs but essentially a place for workmen on the move. It was good value but not ideally located for us. absolutely fine for what we wanted. Lengthy wait to check in, receptionist busy on phone, didn't understand why I had to pay on spot as usually taken from my card. Beds clean and satisfactory, washing facilities small but functional so all in all OK.
We had put in a special request for a quiet room at the end of a corridor. You complied. Everything was as expected. Arrived late at night but very well welcomed by the staff member on duty. Rooms clean and functional as usual. Same as the several previous stays. Professional,polite,helpful. Peace of mind without fuss. Not sure what to add, we got what we wanted. Nasty room - very dirty. - the room was not properly cleaned. There was a strange gelatinous and white stain on the bunk bed and glued hashish on the floor! The room was a non smoking room where everybody seems to smoke! Absolutely disgusting! Iker was a very helpful and profesional receptionist! Excellent spacious invalid-friendly room. Very quiet, no disturbances. Dear HectorFernandez Garcia, Thank you for taking the time to tell us about your experience at the ibis budget Bilbao Arrigorriaga. I am sorry that your experience did not meet your expectations; allow me to express my sincerest apologies. Please note that this problem was a true exception to our normal practices. Rest assured that we are taking the appropriate measures to address the problem. All our efforts are concentrated in preventing future occurrences. I would like to reiterate our commitment to high quality standards, and I personally would like to make sure you will experience it during your next stay with us. 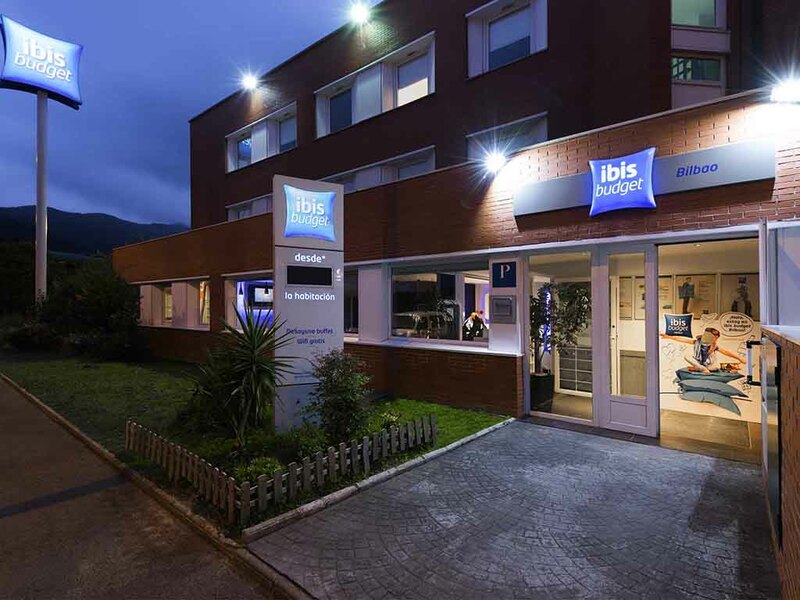 We are looking forward to welcoming you again at Ibis Budget. Please do not hesitate to contact me during your next visit. Sincerely, Patxi Montalbán Manager. The hotel was suitable for quick one night stay near the airport and motorways. The surrounding wasn't attractive in the middle of industrial zone. Personal was very friendly and helpful, breakfast was good. The rooms are simple, but ok.